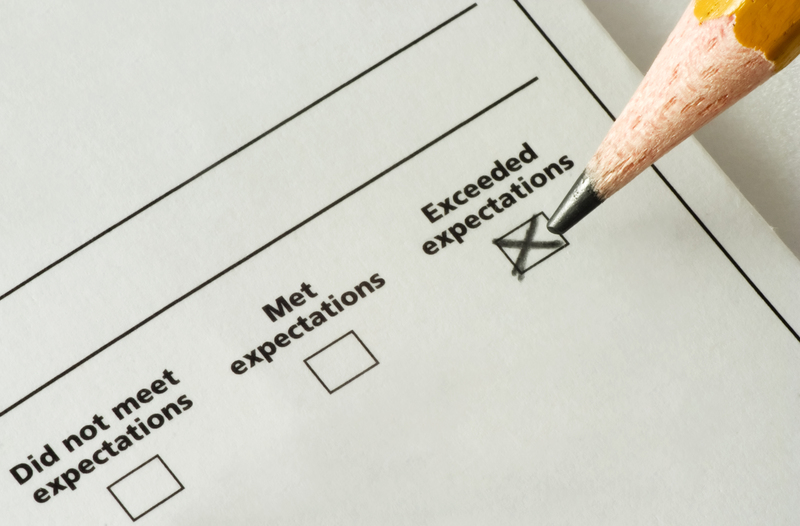 The key to earning favorable online reviews is simple: exceed your customer’s expectations. But sometimes that can feel close to impossible, especially if a customer hasn’t fully shaped their expectations when they hired you. Regardless, at Angie’s List, we still feel exceeding any and all expectations should be your goal. Why? Because if you strive to simply meet a perceived performance level, you’re playing it safe and staying out of trouble. But with a little extra effort, your chances of getting that gushingly positive online review greatly increases. Here are five ways to potentially earn that much-needed positive online review. Customers like honesty, especially when it comes to pricing and costs. Clearly explain how you arrived at a certain price and do it early on in the process. It can go a long way in the world of online reviews. And if pricing does change mid-job, keep the customer in the loop; get an approval before moving forward. Sometimes it’s the small stuff when it comes to taking extra care of your customer. Does someone in the house have allergies you should be mindful of? If you have crew members who smoke, assure they either don’t smoke or go off the property to do it. If a child comes into your work area, help the owner and child understand worksite safety. And clean up, clean up, clean up. Did we mention, clean up? Those who receive great reviews don’t always get them for smooth-running jobs. Contractors who expect the unexpected, then bring solutions without finger-pointing, are the ones who win big. They are often praised for their flexibility, workmanship, foresight and honesty. You want to be a problem-solving contractor. If you believe you’ve done everything you could to make your customer happy, don’t hesitate to ask for a positive review. Sometimes, we just don’t know if a customer is happy until we ask. If they are tech savvy, the customer may even use a tablet or smart phone and type in the review right on the spot. That’s great. You’ve captured their attention before they become distracted. A review not given by a satisfied customer is a missed opportunity for you. Get into the habit of responding to reviews. Thank your customers for the work. You’ll be surprised how your follow-through will resonate with future customers. We’ve never met a person who complained that someone thanked them. In fact, members like to see responses to reviews because it’s an indication of how much attention you pay to your customers’ satisfaction.